Geoff is Managing Director of Braxton, and we pride ourselves as being the leading Independent Estate agents in Maidenhead. Geoff has been with Braxton for 40 years, and has gained extensive specialist knowledge and understanding of the Maidenhead community we serve. As such he is often consulted for his advice by leading national property developers and investors, as well as client’s who trust his guidance and support when selling and buying their homes. Geoff is passionate and enthusiastic about the opportunity to represent clients in all areas of property management and sales, and with dedication and integrity, make sure that Braxton give of our very best to achieve optimum results for our much valued clients. Geoff is proud to be supported by a wonderful team of professional and long serving colleagues who all have their own skill sets to make up the perfect team to serve the Maidenhead community. When not working, Geoff loves spending as much time with his wife, children and friends. Geoff loves travelling, entertaining and likes to keep trim by walking the family dog. Geoff’s sporting interests include rugby (he is a keen supporter of Maidenhead RFC), he has recently joined Temple Golf Club.  Catherine has worked in the UK insurance sector for over twenty years focusing on providing niche property insurance products and services to the broker and IFA communities via her regulated Property MGA inet3. inet3 has a team of 40 insurance professionals who focus on complex risk underwriting on behalf of major insurers and Lloyd’s syndicates. inet3 is also a Lloyd’s of London Broker. The company has put people and technology at the heart of it’s offering, and is committed to de- risking client’s lives, much of which is because of her ambition to advocate for the needs of the brokers and clients that she cares about supporting. Committed to putting back, Catherine works on various industry Boards, including the MGAA, BIBA Advisory Board, and Chairs the MBC Committee for the MGAA, to try to benefit the MGA’s she represents. Catherine is also a director of Braxton, a thriving and successful Estate Agency and Property Management company in Maidenhead and thoroughly enjoys being part of the team. In her spare time Catherine enjoys socialising with close friends and family, walking her dog, travelling and attending concerts. James Farrance is Associate Director responsible for the lettings, build to rent and property investment management side of the company. With vast experience in the residential sector commencing in London from the 1990’s James brings a meticulous approach and a reputation of tenaciously caring for his client’s interests. James is exceptionally well regarded in his field not only thanks to his unparalleled professional track record and high professional standards resulting in many loyal clients and personal referrals but for being a hard working, honest family man who does absolutely everything in his power to ensure his clients success. Marc is a “local lad” having been born and raised in Maidenhead. After finishing school, Marc embarked on a career in estate agency working for an international group before joining Braxton in 1999. Marc started his career at Braxton as a senior negotiator and is now an associate director. When not at work, Marc is an avid sports fan and enjoys watching boxing and has travelled as far as Las Vegas to support his favourite fighters. Marc also enjoys football and, being based in the South, supports Manchester United!  Living and working in Maidenhead, Marc has a wealth of experience to be able to offer accurate advice when it comes to selling your property. Tom is our Sales Manager and has wealth of experience with over 10 years’ in the property industry with many of them spent working in the London property market. Tom returned to his Berkshire roots to join Braxton in 2012 and hasn’t looked back. His valuable knowledge of the Maidenhead area and surrounding villages is of great benefit to clients and customers alike. Away from work, Tom enjoys good food and good company with a drink or two and whilst socialising with friends has been known to have a microphone in his hand in a karaoke bar. Also big on sport, Tom plays football, squash and golf with friends and is a big Liverpool Football Club supporter making the long trip up to Anfield to cheer them on when he gets the chance. Tom makes several trips to Ireland each year to spend time with family and loves visiting different parts of the world on holiday with his daughter & girlfriend. Tom is also a big animal-lover and spends lots of time walking his dogs in the countryside. Cherrie has been with the firm for 14 years and has progressed from Credit Controller to Operations Manager. In this time, the firm has grown considerably and Cherrie has become an important part of the management structure. She has lived in Maidenhead for over 35 years, her children have flown the nest and Cherrie now loves to travel all over the world with family and friends. In her spare time she enjoys jogging, pilates classes and swimming. Carols lettings career started in West London and since then she moved to South Bucks and then the Chilterns She has worked for a large corporate company, and then a small independent and feels that she has learnt and experienced most aspects of the lettings industry over the last 20 years and brings wealth of knowledge with her as Property Manager at Braxton. In her spare time, she enjoys being around horses, swimming, and socialising with her family and friends. Sam attended Claires Court School in Maidenhead and has since achieved a First Class Honours degree in Business Studies with Marketing. From an early career in Marketing Sam has transferred well to Estate Agency, following his father’s footsteps. Away from work Sam likes spending time with family and friends, he enjoys travelling around the world to different music festivals and is also a passionate supporter of Liverpool Football Club. Angela is the sales progressor at Braxtons, working with the busy residential sales team. Angela worked for a Windsor estate agency for several years and has lived in Maidenhead from an early age, she has valuable local knowledge of the Maidenhead area and surrounding villages. Away from the office Angela likes to keep active and enjoy her many interests, including interior design & enthralling travel destinations. Robin brings his vast experience of over 20 years in property to Braxton. Robin specialises in the client contact, legal and contract side of all lettings, and brings a wealth of knowledge and passion for property to all his dealings with our clients and applicants. Outside of the office Robin is an enthusiastic reader and is seldom seen without a book close to hand. He enjoys cooking for family and friends, travel, live comedy and keeping tropical fish. As an unabashed geek he also has a strong love of pop culture. Margit is our office administrator and has worked for Braxtons since 1996 and her day to day role includes creating property details, updating the website, arranging viewings and valuations. Margit lives in Bray, having previously lived in London and has excellent knowledge of the local area. Before Braxton, Margit was a retail buyer for ICI and her hobbies include music, reading and cooking.